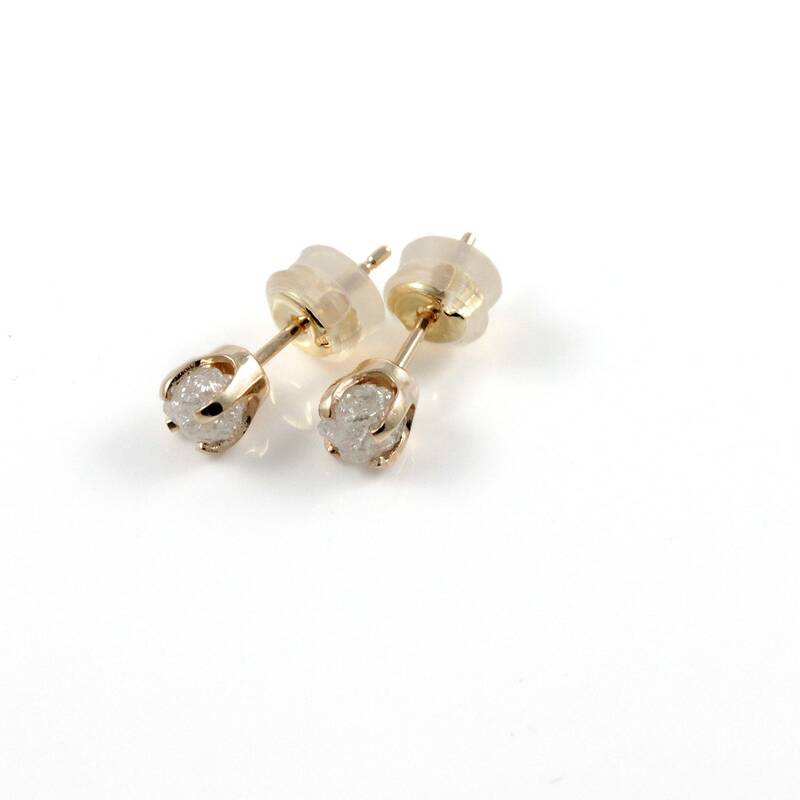 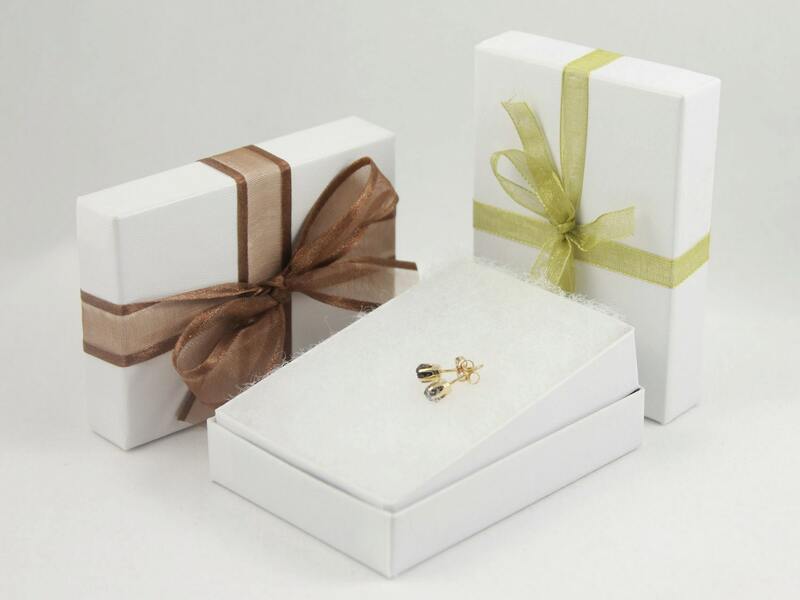 This listing is for quality white raw uncut diamonds delicately set on SOLID 14K Yellow Gold ear studs. 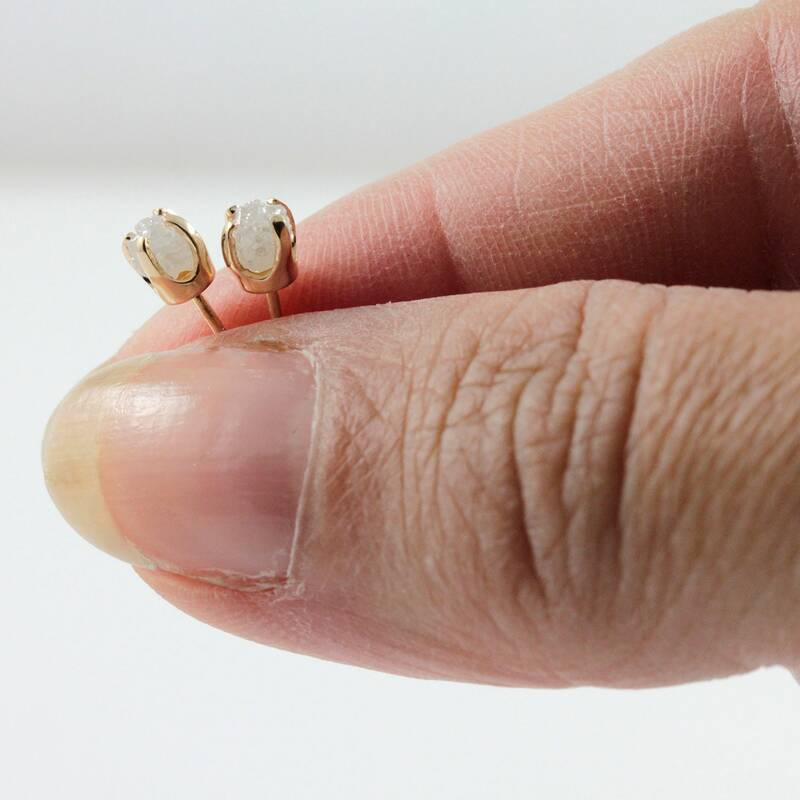 The earrings include 14K Yellow Gold butterfly ear nuts with silicone pads, which make it more secure and comfortable to wear these gorgeous post earrings. 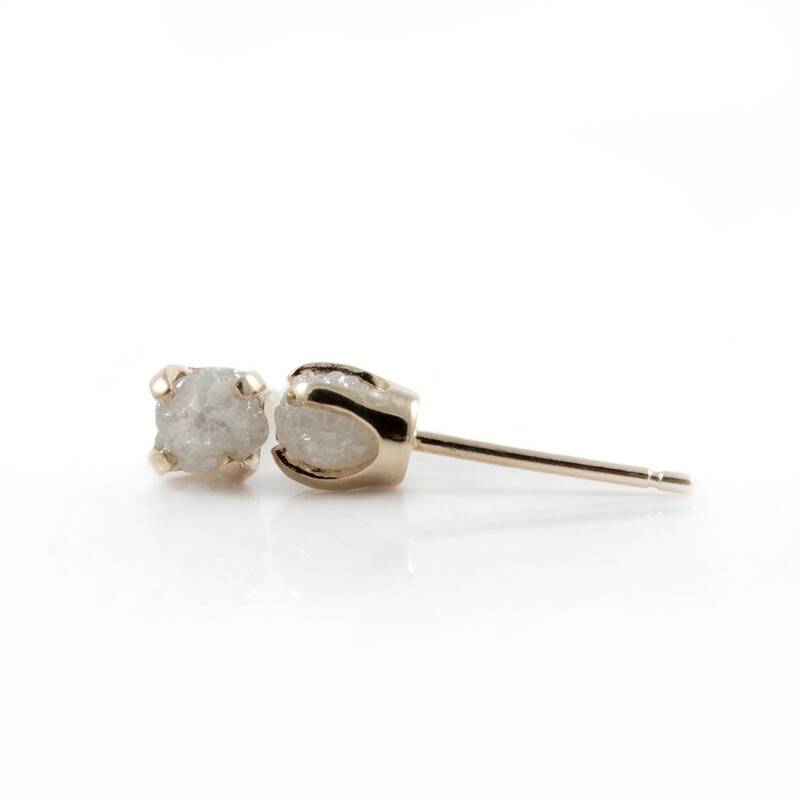 Since the diamonds are natural and unfinished, they may slightly vary in size, color and shape set on a pair. 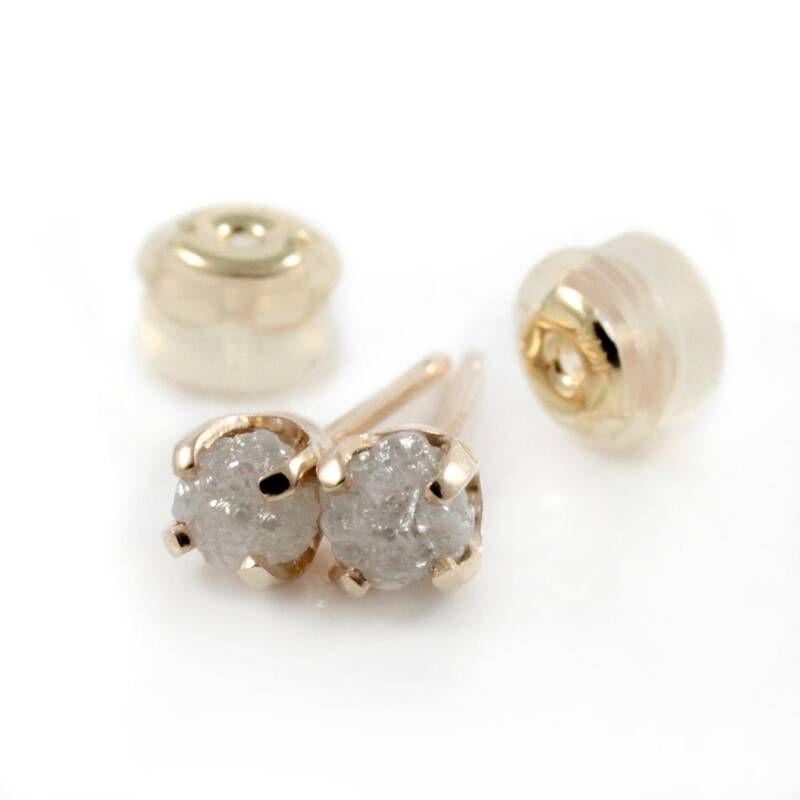 While the stones may have these variations, we always take a careful selection of the stones to set on earrings insuring they are well-matched on a given pair.